Flour tortillas rolled up with chicken or shredded beef, onion and bell peppers. Served with sour cream and quacamole. Corn tortillas rolled up with shredded beef or chicken. Served with guacamole, rice, beans and soup or salad. Corn tortillas stacked like pancakes with cheese and onions in-between, covered with a red chile sauce, topped with a fried egg. Served with rice, beans and soup or salad. 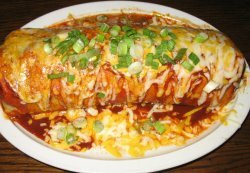 One beef and one cheese enchilada topped with a mild ranchero style sauce and sour cream. Served with rice, beans and soup or salad. Cubes of choice quality pork simmered in a green chile sauce. 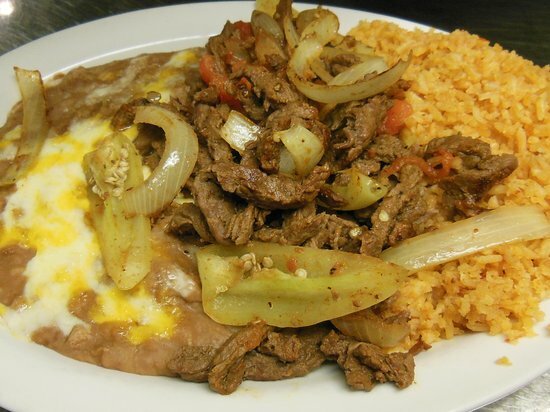 Served with rice, beans, soup or salad and hot tortillas. Please allow additional cooking time strips of choice quality beef simmered in onion, tomato and yellow chiles. 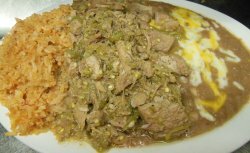 Served with rice, beans, soup or salad and hot tamales. Seasoned, slow roasted pork. Served with rice, beans, soup or salad and hot tortillas. Mexican sausage lightly browned and scrambled with 3 eggs. Served with rice, beans and hot tortillas. Rice and chicken topped with lettuce, tomato, avocado slices and grated cheese. 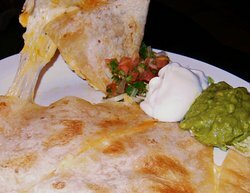 Crisply​ fried corn tortilla, layered with lettuce, guacamole, sour cream, tomato, cheddar cheese, jack cheese and mild salsa. Crisply fried corn tortilla layered with lettuce, guacamole, sour cream, tomato, cheddar cheese, jack cheese, and mild salsa. Crisply​ fried corn tortilla layered with lettuce, guacamole, sour cream, tomato, cheddar cheese, jack cheese, and mild salsa. Rice, beans, pico de gallo, avocado slices and cheese rolled up in a large flour tortilla. Served dry. Sauce on request. Two soft corn tortilla tacos filled with rice, beans, lettuce, pico de gallo and cheese. 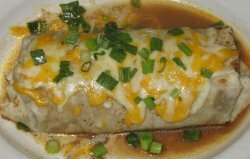 A large flour tortilla filled with melted cheese, chopped tomatoes and roasted green chiles. All items served a la carte. Add melted cheese to items below add 85¢each. I heard this place was hood so we thought we would give it a try. Service was bery poor! Slow on refills. The food was served luke warm and was not that good. I thought it was pricey for what you got. Small parking lot but big taste! This restaurant is a local treasure. The wait stoff is excellent and the food is great. We always have a fun time and leave too full. 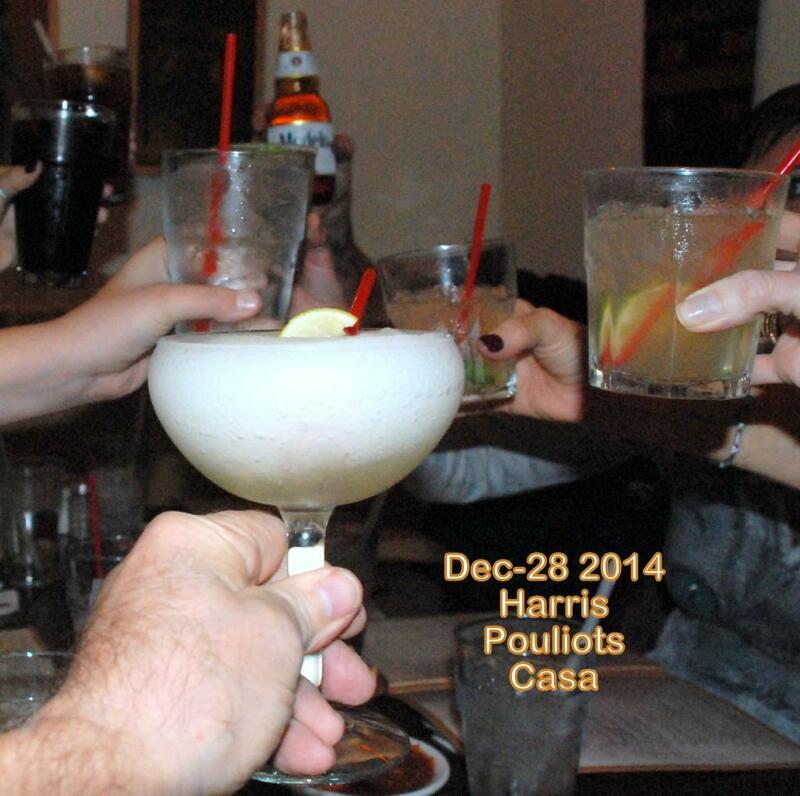 We have been going to this restaurant since it was in the San Dimas Mercantile in the 1980's. All of my family at there, as now with my children. Art is a fantastic owner and the staff is wonderful. Food is great. Been going here for years! Endless tortilla chips and salsa! I can see why this place is always packed. They offer complimentary tortilla chips with salsa and they are pretty good at refilling it without you asking. I would definitely go back! I have been going to this restaurant for years! Never fail me! They are always delicious 😋. I like be their chips and mild salsa. Which I buy to bring home for parties too! Get quick answers from Casa Del Rey staff and past visitors.